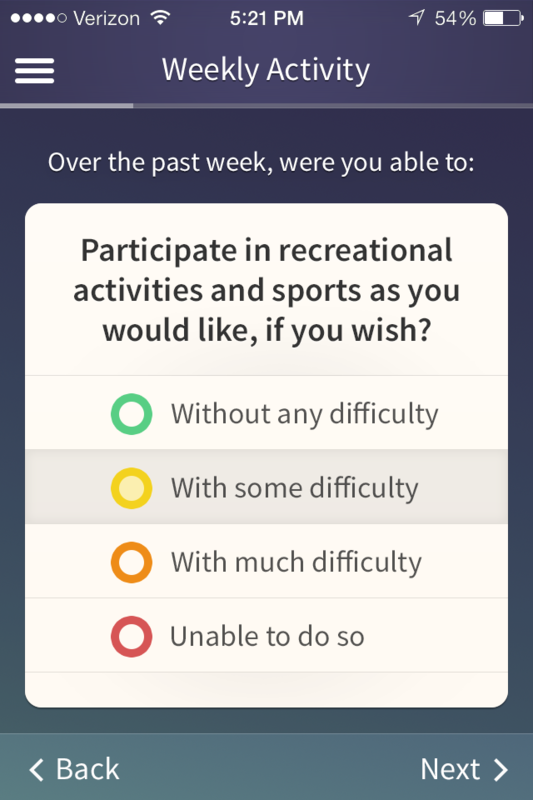 Making life for RA patients a bit less painless. 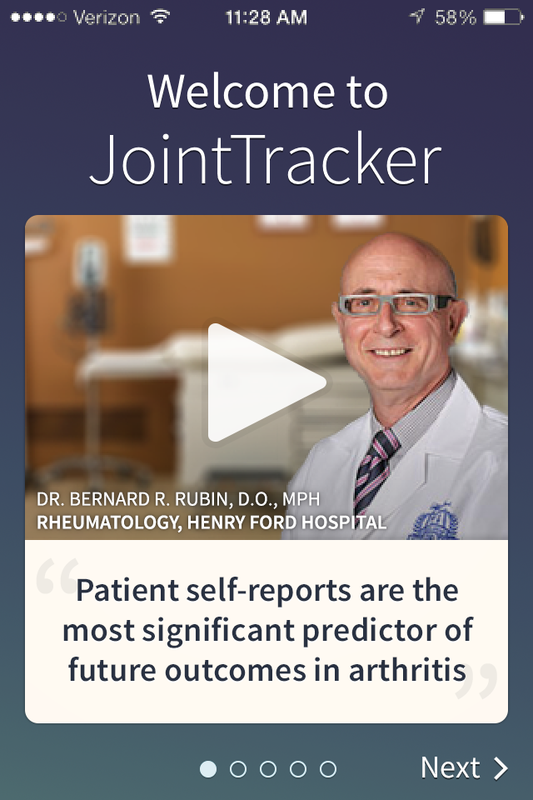 Keeping track of daily pain levels and personal habits is a strong predictor in positive outcomes for those diagnosed with rheumatoid arthritis. 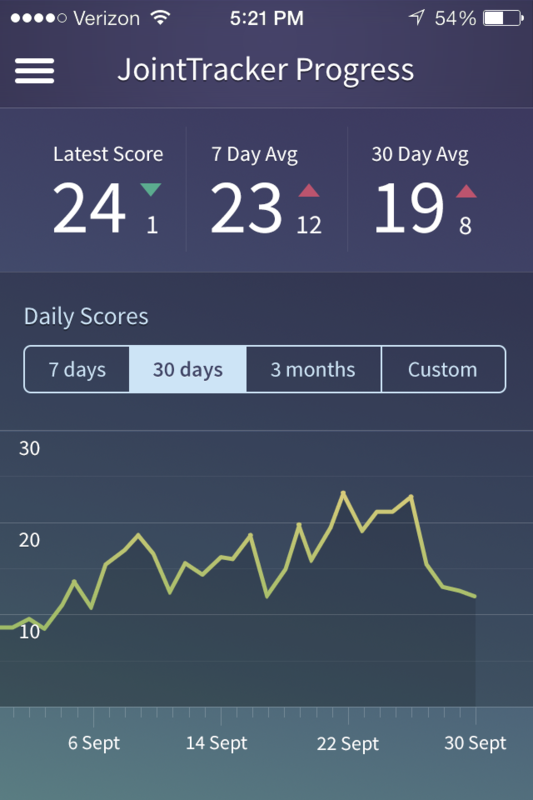 Unfortunately, this information is usually only recorded a couple times per-year at a physician's office. 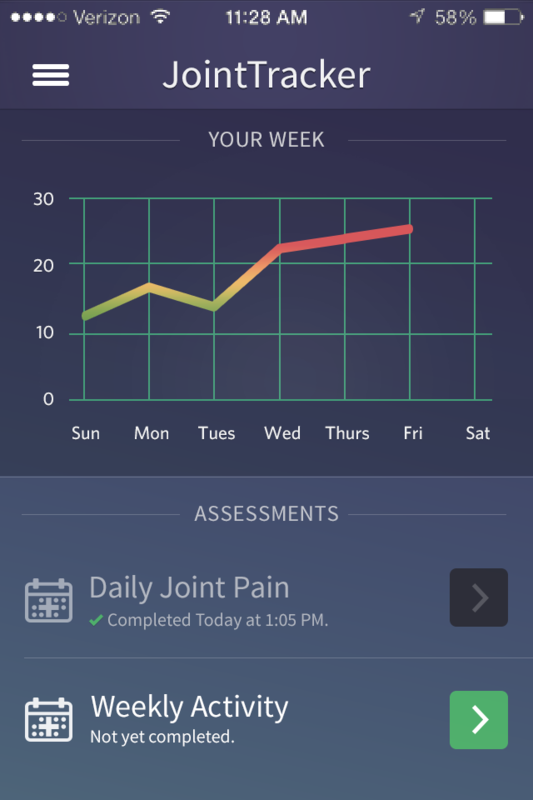 JointTracker was designed to help users track their joint pain and ease of movement on an ongoing basis, with daily and weekly self-assessments. 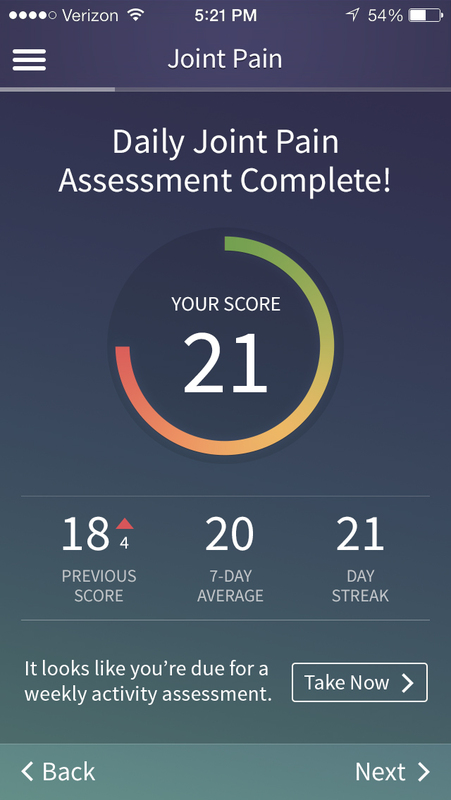 Additionally, all of these assessments conform to the same RAPID-3 self-assessments used by Rheumatoid Arthritis specialists, making the data useful for both personal patient appointments and (as anonymized data) large-scale research. 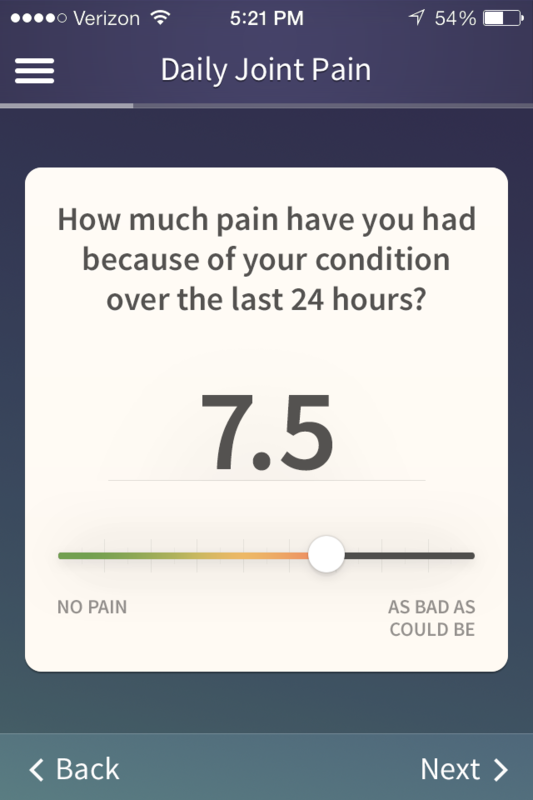 JointTracker was designed with a focus on creating a relaxed environment in which user (especially those suffering from joint pain) can jump in, record that important information as quickly and easily as possible, and get on with their lives.